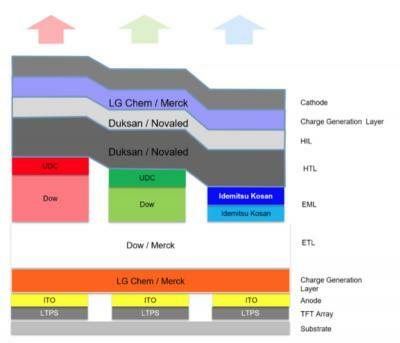 LG Chem (part of the LG Group) is developing and marketing chemicals and electronic materials. 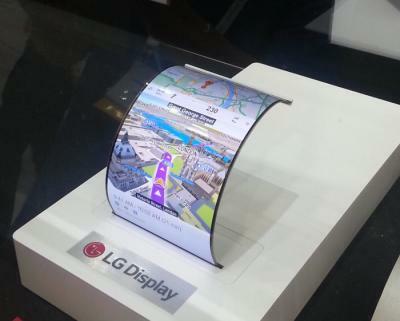 For the OLED display market, LG Chem is offering circular polarizers and OLED stack materials. 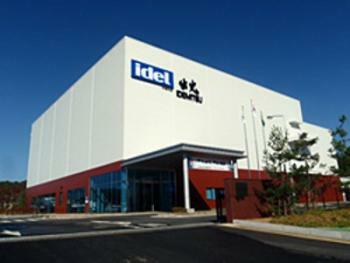 In July 2017, Idemitsu Kosan and LG Chem announced a new collaboration agreement that will allow both companies to use each other OLED material-related patents in certain areas. LG Chem was producing OLED lighting panels, but in 2015 the company sold the OLED lighting business unit to LG Display is a $135 million deal. 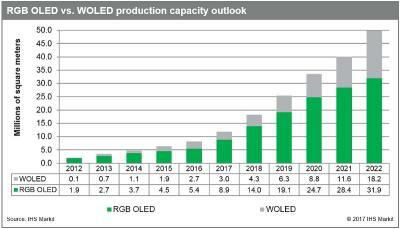 DSCC says that the OLED circular polarizer market is set to grow from $428 million in 2017 to $1.27 billion in 2022. The market is still dominated by mobile displays. 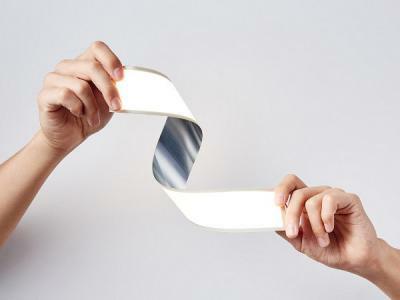 The OLED circular polarizer market is led by two companies, Sumitomo Chemical and Nitto Denko, with LG Chem increasing its market share in OLED TVs polarizers. 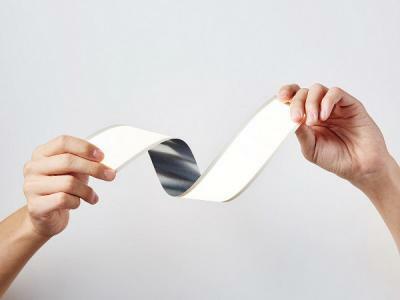 Idemitsu Kosan and LG Chem announced a new collaboration agreement that will allow both companies to use each other OLED material-related patents in certain areas. 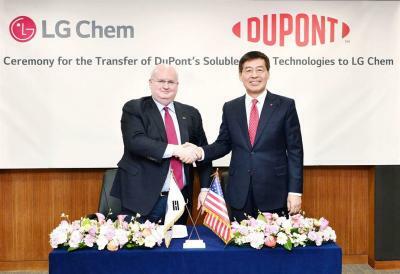 Idemitsu and LG Chem hope that this collaboration and patent sharing agreement will accelerate the development of new high-performance OLED materials. Through this cooperative arrangement, both companies will strongly support the OLED business of LG Display - but will also offer the outcome of this collaboration to other display companies. The Korea Herald reports that Apple is in talks with LG Display to invest 2-3 trillion Won ($1.7-$2.6 billion USD) in LG's OLED production lines, in order to exclusively reserve some of LG's flexible OLED capacity. The report says that the two firms already agreed on these investment plans, but the details (which includes the investment size and timing) have not been finalized yet. A couple of month ago we heard reports (originating from another Korean news outlet, Business Korea) that LGD is in talks with Apple. In October 2015, LG Chem announced that it has sold its OLED lighting business to LG Display, for $135 million USD, and the deal was finalized towards the end of 2015. 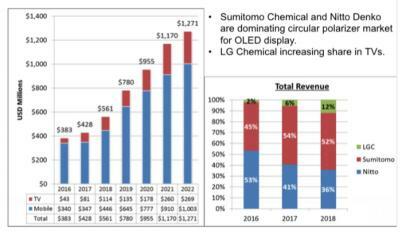 LG decided to consolidate all OLED production under LG Display - which will hopefully enable LG to advance OLED lighting more quickly - and at a lower cost. LG Chem has been discussing a Gen-5 OLED lighting production line since 2012, and the before the merger the company had plans to construct a new $185 million production line for OLED lighting by 2017.